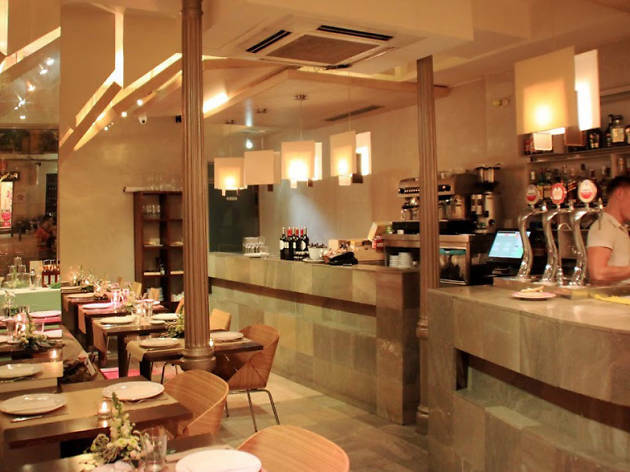 Plaza Chueca has plenty of bars, but only one great restaurant, and this is it. It's fairly small inside La Piazzetta, but the place is attractively decked out in warm beige tones, with plenty of natural light streaming in from the square. The menu boasts tasty but simple Italian cuisine, with starters such as grilled vegetables or buffalo mozzarella with tomato, and great pasta main courses such as spaghetti in tomato sauce with anchovies, white wine and garlic. 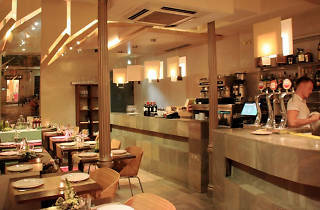 The tiramisu is a must, or try the zuppa inglese. It's especially perfect for summer evenings, when you can dine on the terrace. Main courses €8-€10.50. Set lunch €14 Mon-Thur.